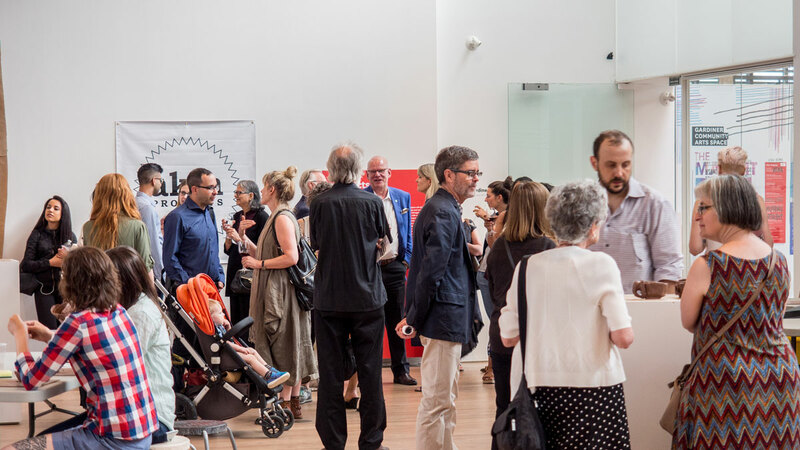 Supporting the Gardiner Museum demonstrates your organization’s commitment to creativity, the vitality of the cultural sector in Toronto, and to the benefits of arts education. The Gardiner works with its corporate partners to design innovative partnerships that align with your philanthropic and brand priorities. Corporate partnerships can support our world-class exhibitions, education and community initiatives, highly-anticipated special events, unique programming or aspects of our permanent collection. We look for organizations whose values align with ours—vitality, creativity, and innovation. Sponsoring a Gardiner initiative provides access to a unique, urban, affluent audience that is passionate about the arts. Additionally, your organization is supporting the growth of the Gardiner Museum. The Gardiner works with our Corporate Partners to create unique benefits for sponsors in addition to a comprehensive recognition package. The Gardiner welcomes the opportunity to discuss additional opportunities to work together to meets your philanthropic goals. Our Corporate Partners help the Museum to achieve our goals, and the Gardiner works with sponsors to achieve their funding objectives. The Gardiner presents word-class exhibitions that demonstrate the relevance of ceramics in contemporary society. From exhibitions that explore the ancient world, and ones that put ceramics in a broader social and historical context, to contemporary installations and artworks, our special exhibitions make the Gardiner one of the most important specialty museums in the world. Special events at the Gardiner are truly unique, highly-anticipated experiences that are often sold out. Our signature fall fundraiser is a celebration of national and international ceramics in support of our clay education and outreach programs, and special exhibitions throughout the year. The Young Patron Circle’s annual art party SMASH became an instant classic when it launched in 2016. Bringing together the very best of Toronto’s young professionals, influencers and social mavens, SMASH is the ideal opportunity to reach out to the 25-45 demographic at a carefully curated event featuring contemporary art installations, gourmet cuisine, and special performances. Through education, programming, and community outreach initiatives, the Gardiner engages people with the unique qualities of clay, which offer a creative experience like no other. By taking part in a clay class, each participant is engaging in a creative practice that contributes to their feeling of social inclusion and mental well-being.